﻿ Electronic platforms - SIPI s.r.l. 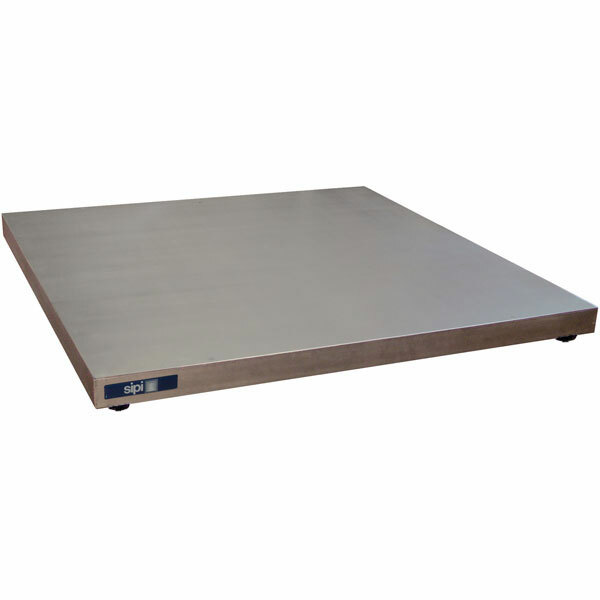 Electronic weighing platforms are used for weighing in the industrial and commercial sectors. SIPI provides a wide range of platforms that cover all the needs of the market, from bench platforms to floor-mounted and built-in platforms, equipped with access ramps to facilitate raising trolleys, to wheel weighing platforms for weighing vehicles. 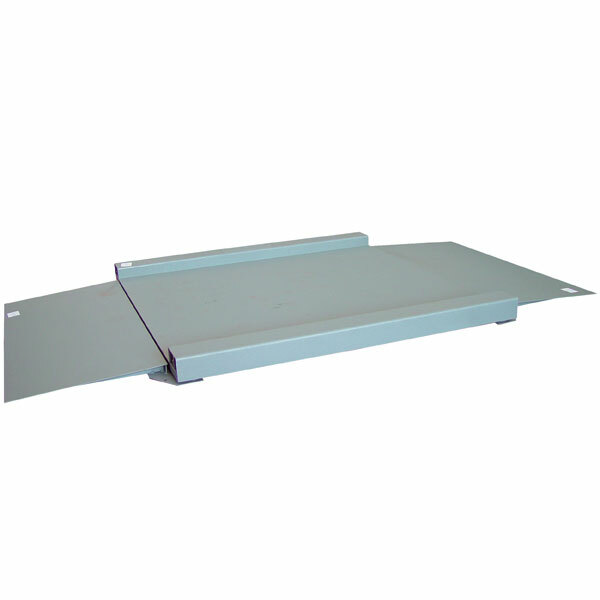 Made of painted steel or stainless steel for chemical and food environments, they can be equipped with adjustable feet to level them on the floor. 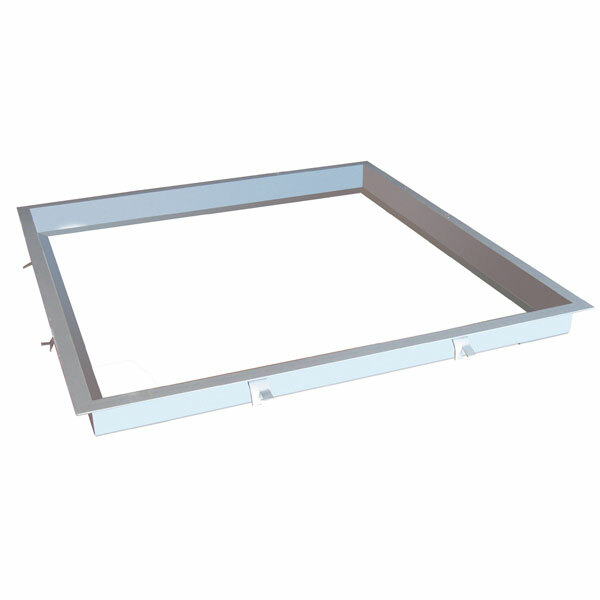 They are robust, easy to install and equipped with a protection system against overloading. The platforms can be combined with all the terminals of the SE series and piece-counting scales, creating a system that conforms to the EN 45501 standard. 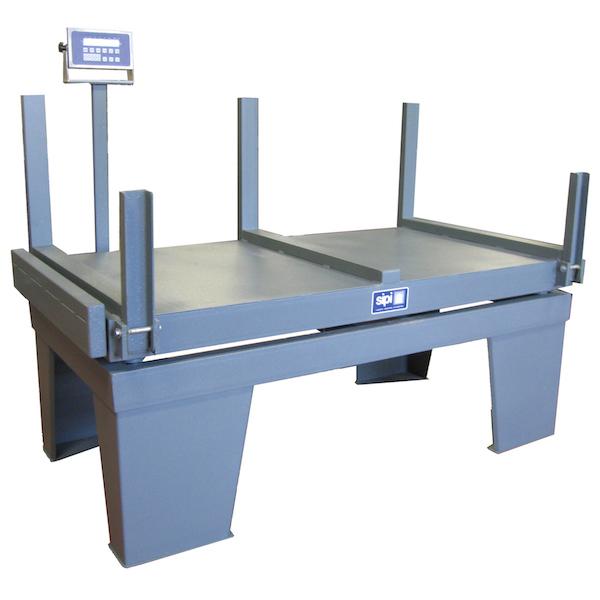 The platforms in the bench version of the BMM series are used for weighing in industry and commerce. The platforms are available in various sizes and in different nominal capacities. They can be made of common painted steel or of stainless steel for chemical and food environments. 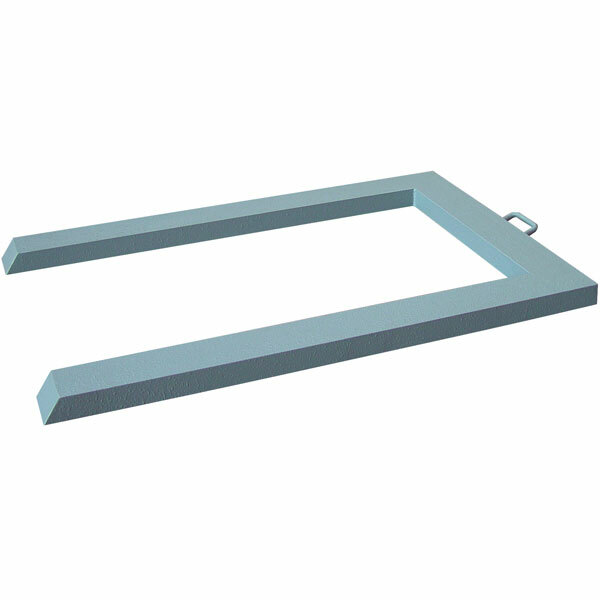 The electronic weighing platforms are made with a weight detection system consisting of a single load cell and can be supplied with protection class IP65 or IP68. The platforms are equipped with height-adjusting feet. The platforms of the BMM series can be combined with all the terminals of the SE series and the piece-counting scales of the CP series, creating a system that conforms to the EN 45501 standard. The floor-mount electronic platforms are used in industry and commerce for the weighing and control of goods inwards and for shipment. The platforms are available in various sizes and capacities, are made of painted steel or stainless steel and are intended for the food and chemical industries. The weight detection system consists of four shear-type load cells with IP67 protection class. Equipped with self-centring feet, height-adjustable to facilitate installation, the platforms can be combined with all the terminals of the SE series and the piece-counting scales of the CP series, creating a system that conforms to the EN 45501 standard. The platforms to be installed flush with the floor are used in industry and commerce for the weighing and control of goods inwards and for shipment. The platforms are available in various sizes and in various nominal capacities. They can be made of common painted steel or of stainless steel for chemical and food environments. 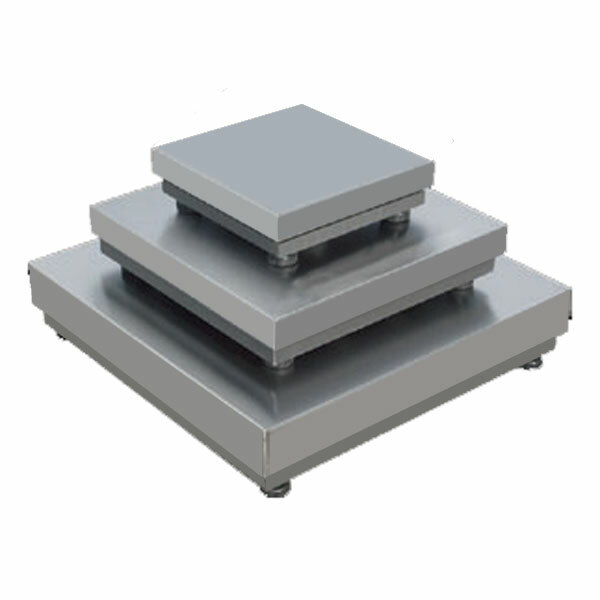 The low-profile electronic weighing platforms have a weight detection system formed by four shear- type load cells with IP67 class protection. Equipped with self-centring feet, height-adjustable to facilitate installation, the platforms can be combined with all the terminals of the SE series and the piece-counting scales of the CP series, creating a system that conforms to the EN 45501 standard. The contouring is made from common steel or stainless steel AISI 304 profiles welded with anchors for mounting in the floor and is accompanied by protective steel plate around the entire perimeter, the dimensions conforming to the dimensions of the platform. The range of base products of the steel contouring includes many standard sizes and free dimension intervals, and thanks to numerous options and accessories they can be adapted to individual needs. The sturdy and torsion-free structure, the robotic production and its reliability make it an exceptional product. Manufacture can be in painted common steel or stainless steel. 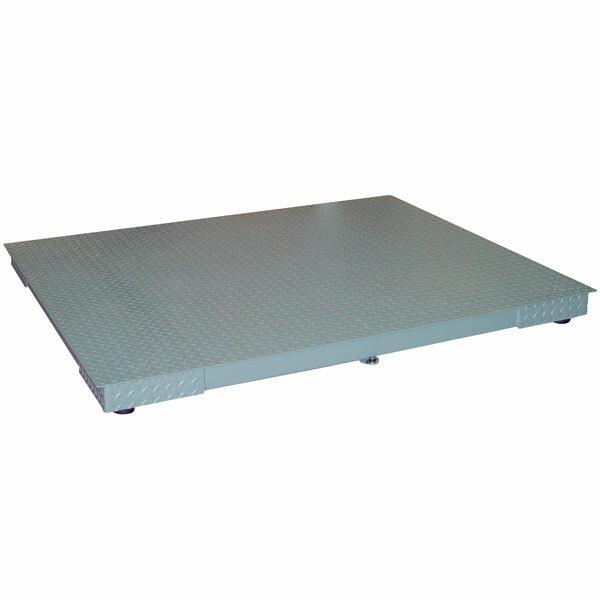 The lowered flatbed scales with ramps are used in industry for weighing materials transported on manual or electric trucks where a foundation hole cannot be created. The ramps placed at the heads of the platform allow for raising the trucks. This version of platform is particularly low in order to minimise the effort required to climb onto the platform. The production of the platform can be in painted common steel or on request in stainless steel intended for use in the chemical and food industries. 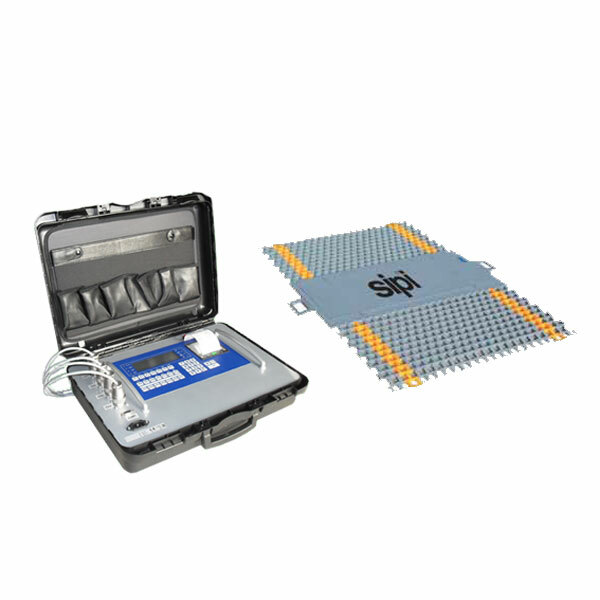 The weight detection system consists of four shear-type load cells with IP67 protection class. The platform is equipped with self-centring feet, adjustable in height for easier installation. The electronic display unit can be supplied in SIPI’s various production models with multi-function programs to satisfy all needs, creating a system conforming to the EN 45501 standard. The SIPI PL series electronic platforms weigh pallets and are used for weighing materials transported on manual pallet trucks. The platforms are available in formats suitable for the forks of pallet trucks. 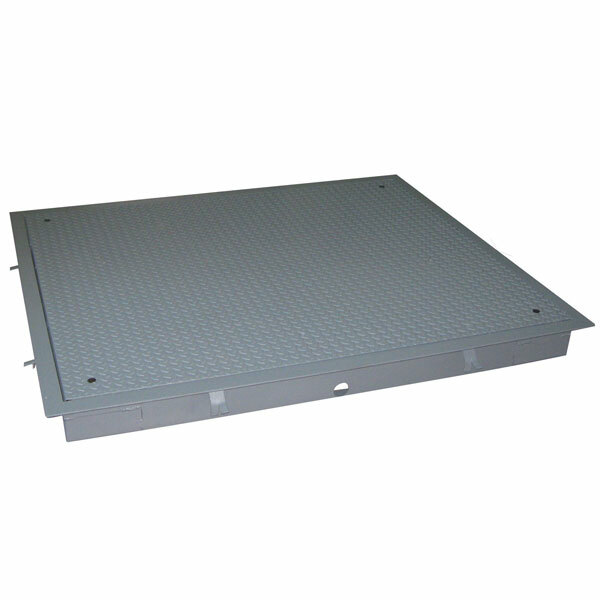 The electronic weighing platforms, in 4-load cell pallet-weighing version, are made of low-profile painted steel and are placed directly on the floor. The shape and size facilitate the weighing of pallets handled with manual and electric pallet trucks without having to cope with ramps or steps. The platform can be moved easily using the handles. 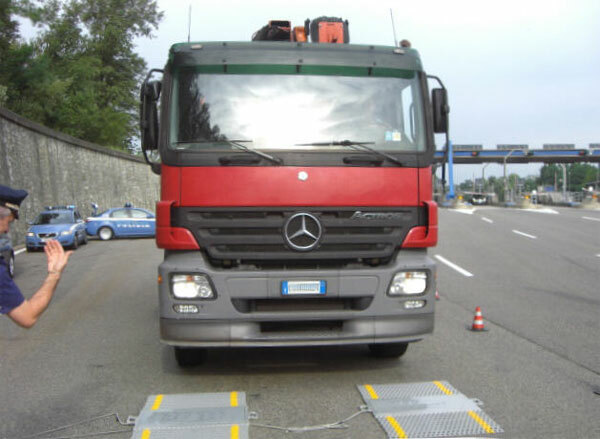 The SIPI wheel weighing electronic weighing platforms connect to a single weight indicator to create a portable weighing system that can be used for all vehicles on the roads and motorways. Made with an aluminium frame that makes it lightweight, it has a protection class of IP66. The platforms can be connected to any SIPI SE series indicator, creating a system that conforms to the EN 45501 standard. The electronic weighing platforms in the metal weighing version are used for weighing metal sections, pipes and sheets in the warehouse for shipping and in industrial environments. Available in various sizes and capacities according to requirements. 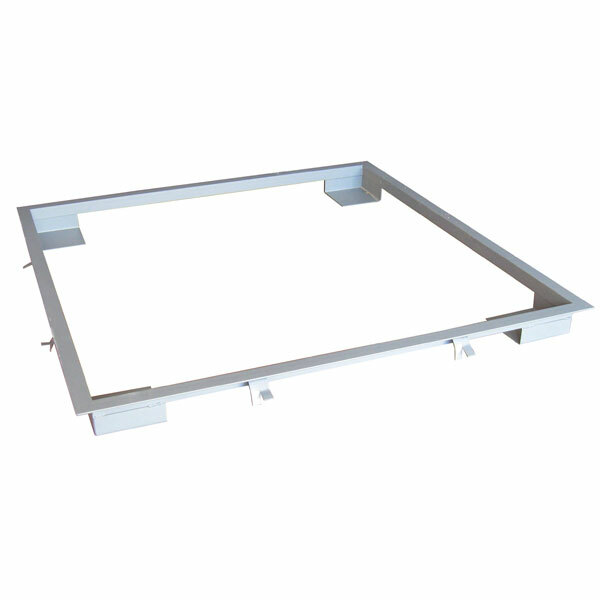 The frame is created in painted steel with four shear-type load cell weight detection system with IP67 protection class. The metal weighing platforms can be combined with all the terminals of the SE series and the piece-counting scales of the CP series, creating a system that conforms to the EN 45501 standard.